Less than a year after captivating audiences as Martin Luther King Jr. in the powerful drama Selma, actor David Oyelowo appears as a monstrous killer in the new film Captive. Early on in the picture, Oyelowo’s character of Brian Nichols escapes from prison and murders four innocent people before holding a young woman hostage over one long night. If you think this sounds like the premise of a horror film, you would be mistaken. The movie instead is inspired by the true story of a killer who held a woman hostage only to release her hours later after she reads passages of Rick Warren’s best-selling book The Purpose Driven Life to him. In early 2005, the murderous Nichols held Ashley Smith hostage for over seven hours. The story made headlines across the nation and Smith, who had been a meth addict before, turned her life around after Nichols released her to freedom. Adapted from Smith’s book about the incident, the film attempts to capture what that painful experience was like. 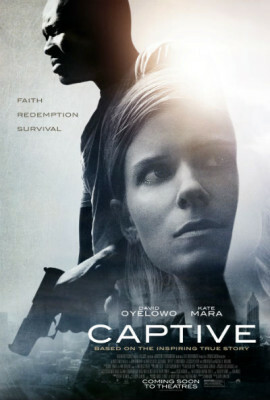 Like many films based on true stories, Captive bends the truth a bit to make the story more dramatic but Kate Mara (Fantastic Four, House of Cards) who stars as Smith, does an excellent job bringing this woman to life. 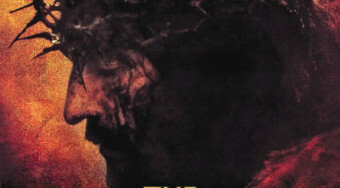 As the film opens, Smith is still struggling with addiction and doesn’t seem to believe in a higher power. When a friend offers her a copy of Rick Warren’s book, she promptly throws it in the trash. It’s only later— when the friend has brought her the book again— that Smith actually holds onto it. Oyelowo is left with the trickier role to carry. Early on, Nichols murders three innocent people in a courthouse. He walks from a prison cell into a courtroom only to shoot down his victims without even thinking about it. On the run, he murders another man. While driving around a stolen truck, he sees Smith and promptly holds her hostage in her apartment. Much of the story takes place with the duo together in the small apartment, where Smith eventually begins reading to him and inspiring him to give himself up. Director Jerry Jameson, who previously directed well-known television shows like Walker, Texas Ranger and Murder She Wrote alongside a few smaller films, does a solid job in bringing this unlikely story to the big screen. The weakest character though is Detective John Chestnut (Michael Kenneth Williams), a man who stands on the sidelines and urges Nichols to give up when he’s surrounded. Chestnut’s character, who comes across like a stereotypical detective in as TV movie, isn’t given much to do in a film where the two main characters— Nichols and Smith— face major life changes. 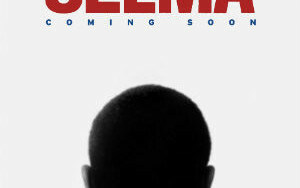 The real power of the film comes from Mara and Oyelowo. Both give riveting and believable performances. Both of their characters have lost custody of their children and are overwhelmed by the burden of their own failures. While Oyelowo’s character is the focus here, Mara’s character— despite the fact that she’s the victim— maintains control both of her own body (she refuses to do drugs even at gunpoint) and the situation (where she makes breakfast for her kidnapper and pushes him to do the right thing). It’s hard to comprehend the transition that Nichols went through in the course of one day and the film obviously struggles with that. How did this man go from vengefully killing four people to letting an innocent woman go and surrendering to police? It’s a tough situation but through the lead performances here, audiences will get a glimpse of a man coming to terms with his own failings and a woman who uses this terrifying situation to turn her life around.